Here we go! Marathon #7 and trail marathon #2 for me. It's the Grand Island Marathon by Great Lakes Endurance and also the third race in a series of five that I'm doing with Great Lakes Endurance this year. There is still time to sign up for this race. It's going to be an epic guys weekend as I have my buddies going along with me to run this too. We will be camping in Munising for the weekend. Another epic Great Lakes Endurance race I hope! 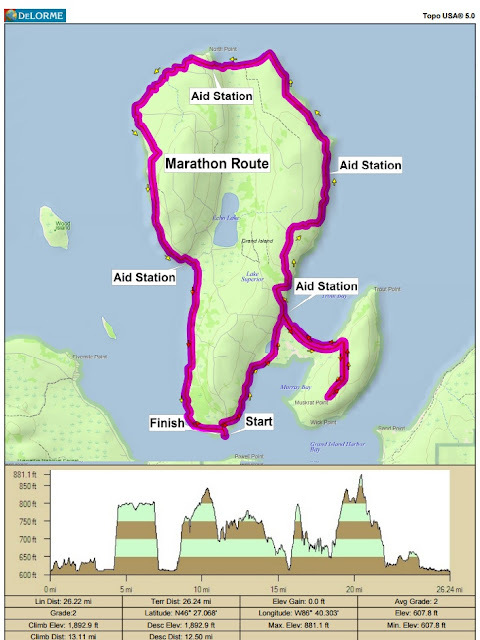 Yes, we are going to run around the entire island! 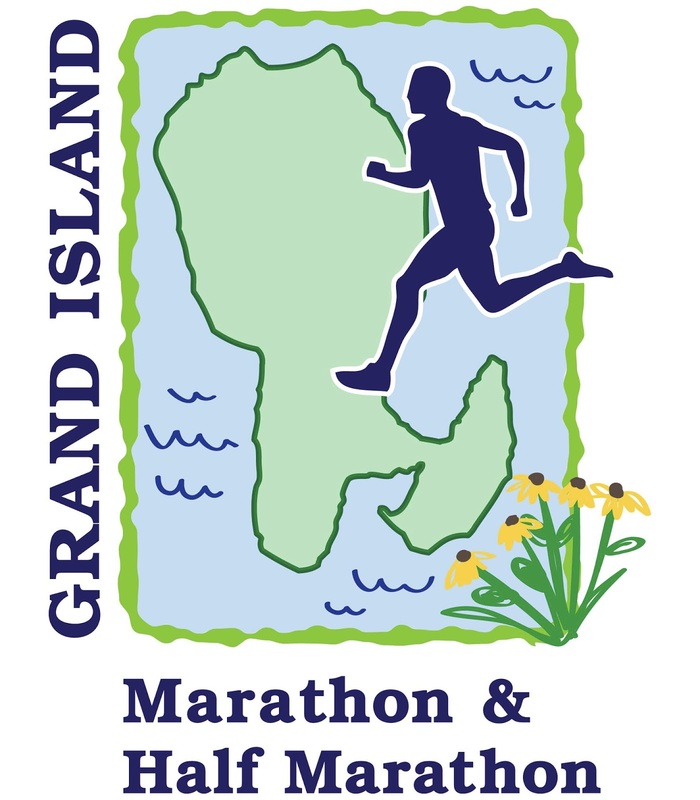 I've been to Munising before and saw Pictured Rocks but I've never actually been on Grand Island so this will be a great time to see what the island is like. As you can see, there are several climbs in the race and it appears quite hilly so it should be a real challenge. I have not run this long since last October when I did a 50k in Pennsylvania. 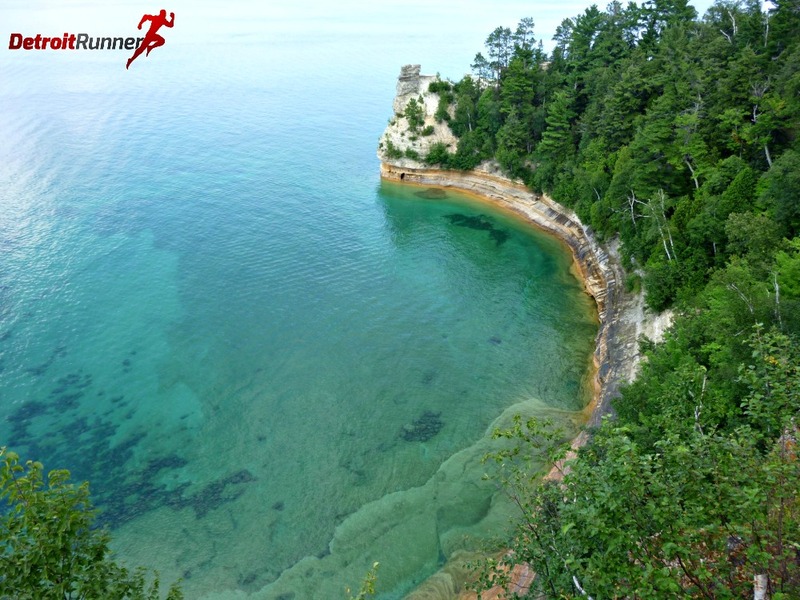 If you are interested in joining us, there is still time to sign up at the Great Lakes Endurance website. I hope you can join us and, if you can't, I'll be sure to take lots and lots of pictures to share in my race review.